Discovering that your best friend stole your lover can be totally devastating. Unlike ordinary heartbreaks, such situation causes your heart to break twice as you lose two of the most important people in your life. 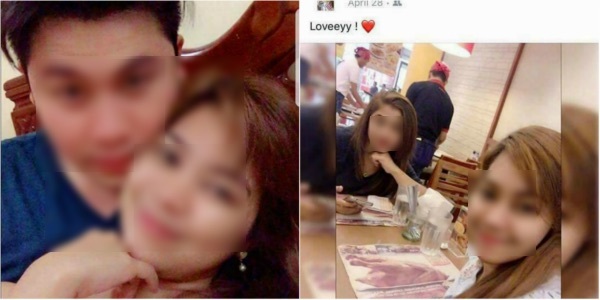 In a viral Facebook post, netizen Veronica Jhane Enriquez revealed how her long-time boyfriend cheated on her with her best friend of 12 years. The OFW made the shocking discovery after she returned to the Philippines to patch things up with her lover of 7 years. Having a kid to support, Veronica and her boyfriend both decided to work abroad and keep a long-distance relationship. While her former fiance worked in Qatar, she went to Dubai to help him save money for their future. As anyone would expect, they encountered some bumps in their long-distance relationship. She admitted in her post that she committed mistakes against her ex fiance in the past but eventually told him the truth. She decided to return home to the Philippines to try to make amends and save their relationship. However, instead of winning back her former fiancé, Veronica discovered the ugly truth when she returned home. During her whole stay in the Philippines, her ex fiancé, who refused to reconcile with her, stayed in her best friend’s house. At one point, Veronica also slept at her best friend’s house not knowing that there was already something going on between her best friend and fiancé. To make matters worse, Veronica’s former fiance even brought their daughter to some of his dates with her best friend. Apparently, Veronica’s best friend happens to be the godmother of their child. Despite her daughter telling her about her father’s relationship with her godmother, Veronica shrugged it off this believing it was impossible for them to betray her. “BES ko un eh di nya magagawa yun. Pero sabi nga nila always expect the unexpected. nevertheless thank you so much for showing me your true colors. Di kayo worth it. And nag papasalamat ako sa lahat ng taong nag mamahal sakin? enough na yun. Yoko na ng presence nyo sa buhay namin,” she wrote in her post.